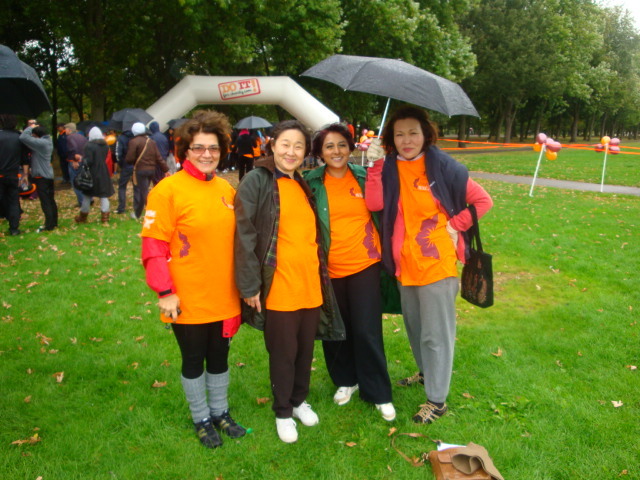 The morning of 23rd September 2012 saw Regents Park temporarily transformed as The Pan Asian Women’s Association organised a sponsored walk in aid of their charities. On arrival participants were treated to a remarkable Zumba warm-up. A number of FIWAL members registered for the event and amongst those walking were Deepti Yadav (FIWAL Secretary) and Margaret Wickware (FIWAL Past President). Despite risks of heavy rain there was a remarkable turnout and the event was a tremendous success. Following its Board Meeting on 1st October, FIWAL is delighted to announce that Hulya Kocu has accepted the office of Interim President. Hulya is Past President of The Association of Turkish Women in Britain and is a member of the Hampstead Women’s Club and the Women’s Council. She was invited to join the FIWAL Executive Committee seven years ago and has served as part of the Combined Events Committee for five years and as Second Vice President for two years. FIWAL’s Executive Committee looks forward to working with Hulya over the coming year, and thanks Margaret Wickware for her hard work and dedication as President over the past year. As well as an Annual ‘Presidents and Representatives Lunch’ to look forward to in November, representatives of FIWAL’s clubs have extended invitations to an exciting range of events hosted by their own clubs. Please have a look at our Member Association Events page. Be a part of something new! 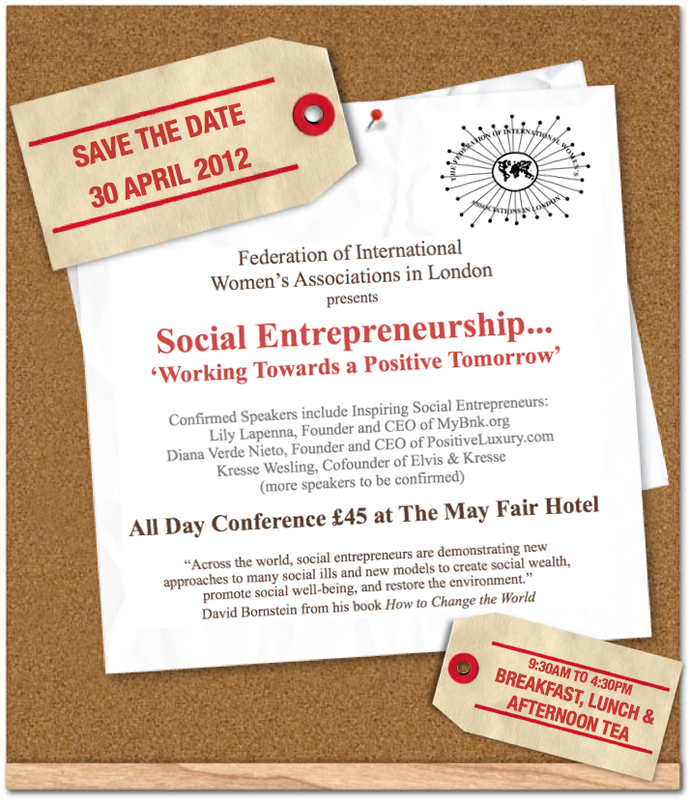 Join FIWAL on Monday, 30 April for the All-Day Conference! Details to receive your tickets are on our events page. With Valentine’s Day approaching, what better time to enjoy tasting different teas and chocolates! 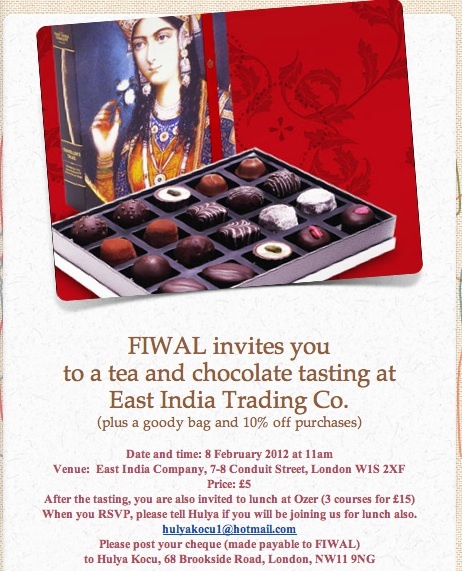 FIWAL members are invited to the acclaimed East India Company on Wednesday, 8th February to learn about and sample their delicious teas and chocolates. You will also have a chance to purchase something for your loved ones (with a 10% discount). Please RSVP and send your payment of £5 as soon as possible – and do let us know if you will be joining us for lunch afterwards. I am delighted to announce details of our upcoming conference. Our Secretary, Lynne McAlister has crafted a very eye-catching flyer that I hope might simply be added to your club’s electronic newsletters or added to your websites for widespread distribution to all your members. You can view the full sized flyer here. 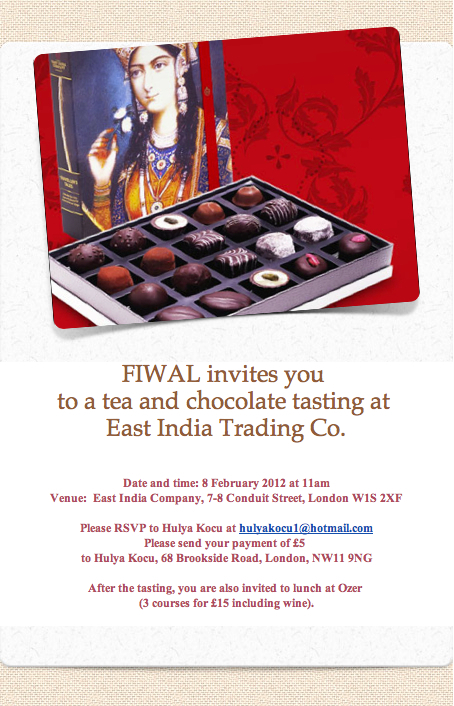 A registration form is available on the ‘FIWAL Events’ page. I am very much hoping that contingents from all 35 FIWAL member clubs are present with us on the 30 April at the Mayfair Hotel. We are now forming a Conference Committee to help with administrative matters relating to this event. If you would like to help us either on the day or beforehand, please do not hesitate to be in touch (mbwickware@hotmail.co.uk). Besides news of the conference, our FIWAL website has been updated with information about events being organized by our member clubs. Click here to see them. The latest issue of Dateline has also been added to the website. I would like to encourage you to sign up to be apprised of regular updates from FIWAL. On the lower right hand corner of this site, there is a spot to type in your email address. It is a free service! Currently, more than 30 people subscribed to receive updates. I am hoping that we will have about four times that number by the time of the conference!